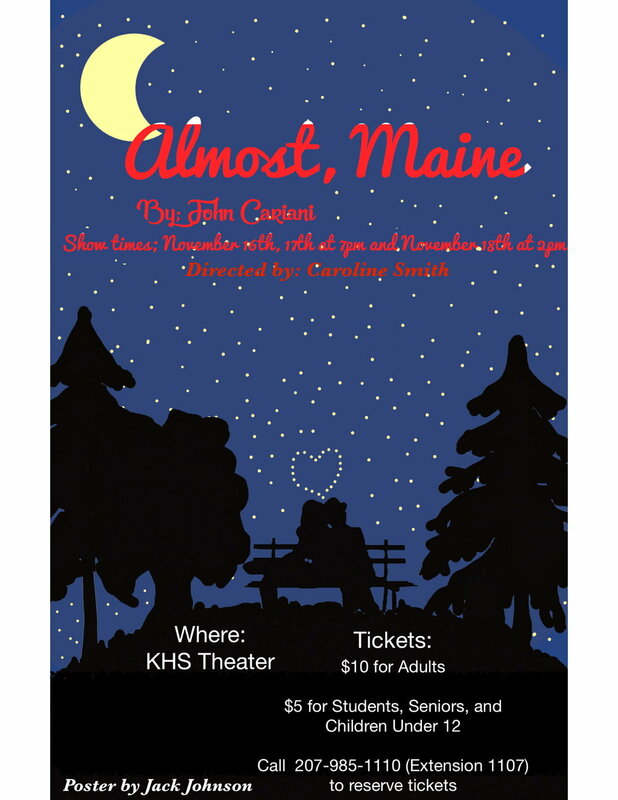 The talented students of Kennebunk High School return to the stage for this year’s Fall production of Almost, Maine by John Cariani on November 16th, 17th, and 18th. Look out for 7pm shows on the 16th and 17th, and a matinee at 2pm on the 18th. Tickets and pricing below. On a Friday night in the deepest winter, the residents of the remote, mythical town of Almost, Maine (so far north it's almost in Canada) are falling in and out of love in unexpected, unusual, and often hilarious ways. As the northern lights hover magically overhead, knees are getting bruised, and hearts are getting broken. But the bruises heal and hearts mend -- almost -- in this delightful romantic comedy about love, loss, and real people. For more information, press interviews, photos or for press comps, please contact Caroline Smith at csmith@rsu21.net. Older PostThe First Issue of the Herd Now Available!